A combination of business growth and environmental issues—it was running out of space in its primary office and its data center was located in an area at high risk of flooding—led a large financial trading operation to start planning the relocation of both facilities. Executives at the firm wanted both moves coordinated to minimize potential disruptions. 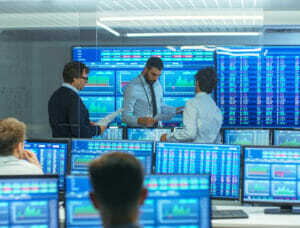 In addition, while the current production data center was housed in a multi-tenant office location with all voice, WAN, Internet and trading circuits terminating, the trading firm wanted to move to a colocation facility. SMI performed an in-depth review of several colocation providers that were located outside the flooding zone while also performing an in-depth inventory of the existing network. The SMI audit uncovered billing for unnecessary services and also identified single-points-of-failure shared between carriers. Based on its review of the colocation providers and its analysis of the firm’s business objectives, SMI made recommendations and then negotiated pricing and contract terms with the colocation vendor that was selected. SMI designed the circuits to support the new infrastructure with a 100% physically diverse dark fiber ring. SMI project managed the move of all circuits, canceled and cleaned up all the old services and confirmed billing had ceased.